BUILD THE BEST - PREMIUM STEEL SHEDS & BUILDINGS. 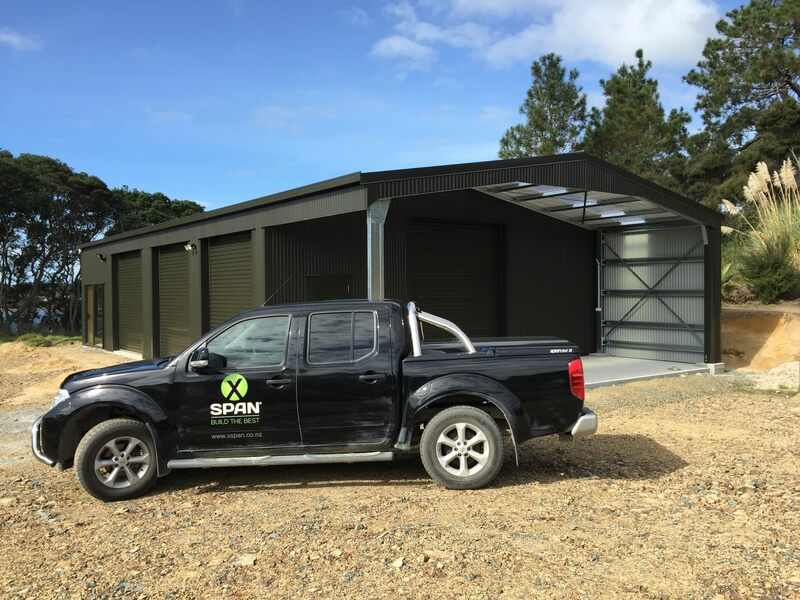 X Span is becoming well recognised in NZ for providing a premium steel building product. A lot of the hard ground work has been done by the NZ based distributor and founder of the X Span brand. X Span is currently looking to team up with smart, competent and driven individuals, with experience in the building sector and the ability to provide construction services - whom want to help grow and share in the financial success X Span has to offer. As part of our vision to take the X Span brand to the top of sales for steel framed buildings, we want to establish successful agencies thoughout NZ. An agency comes with the benefits of quality service and support from an experienced team at National Office. You will also have the full use and benefits of our market leading software design system, Shed Creator - whilst also being part of an agency structure that has a unique and fair scale of flexible fees and sales commission levels. X Span uses only the best and most trusted NZ based suppliers such as Metalcraft, Windsor Doors and APL. Our sheds offer the very best in engineering design and strength incorporating our very own, NZ's first and only BRANZ Tested and appraised K5S steel portal bracket system. With our K5S brackets, not only are we providing stronger buildings to the NZ market but this system also allows the design of bigger buildings without the need for obstructive knee or apex braces. Take the financial benefits of not only working for yourself but the added security and flexibility of establishing your own business, or growing your existing business, together with the support of a NZ owned, located and operated brand. Express your interest today by calling Anthony on 0272 89 89 89, emailing anthony@xspan.co.nz or via 'Business Opportunities' in the footer of our website homepage. Please, only existing and well established building companies need apply. Log in or register to email the seller.